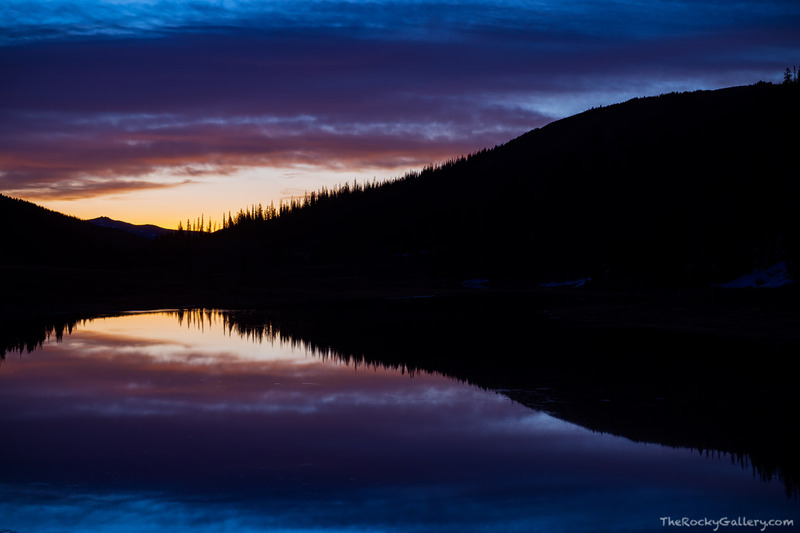 Predawn light illumintaes the skies over a placid Milner Lake stradling the Continental Divide seperating the east and west side of Rocky Mountain National Park. Milner Lake is the headwaters for the Poudre River and the elliptical shape of the clouds overhead combined with the reflection on Milner Lake give the appearance of an eye watching down on the landscape. Photo © copyright by Thomas Mangan.